Welcome to the Awards page from RUN. THINK. SHOOT. LIVE. Each year, we have an award vote for various categories. Before 2014, these were not formalised, but now there are multiple categories and readers can vote on each one. The awards are for maps and mods released in any given year, not posted in that year on the site. Generally, each category will have 5 candidates. The initial candidates are taken from the various PLAY archives and ordered according to their average rating. However, in some cases they will be selected by Phillip. This year will feature many more awards in different categories. 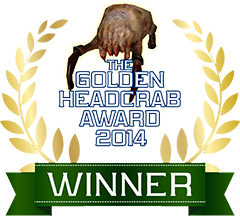 For example, not just mods, but there will be awards for single maps released, the funniest moment in a mod, the most atmospheric, the scariest etc. You can even suggest a category for an award, but the closing date for new categories is 28th February. 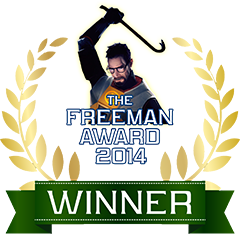 The Freeman Award, for the best overall release. 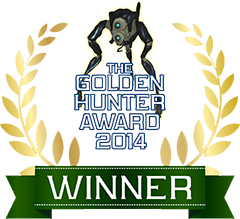 You can view the voting and discussion for the 2014 awards here. A classic "escape from Black Mesa" mod. Taking you through a variety of different areas, you encounter stiff opposition to your progress. Freedom awaits for those smart and brave enough to continue forward. Good Luck - You'll need it. Oh BOY! You've been captured and taken to a Combine Prison.Your mother was right, You are special. Follow the instructions and do what you do best - cause trouble. Watch the story unfold right before your eyes. In a little bit of a surprise, The Freeman Award has joint winners. The final vote showed 37.50 percent of votes for Forest train and The Masked Prisoner. So, congratulations to Jason Gimba and Mike Anderson respectively.